CINE 6D Lanzarote | THE RIDE OF YOUR LIFE! 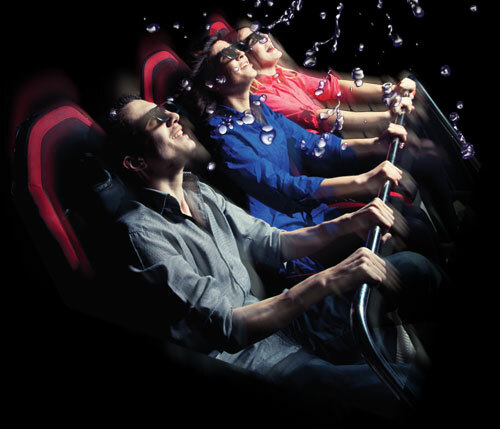 Dazzling 3D graphics, in-theater special effects and booming digital sound make you feel like you’re really there! Stimulate your senses with the wildest ride you’ll ever have in a motion simulator GUARANTEED! Experience 4-foot drops with all kinds of twist, g-forces and wacky turns in this 9-seat futuristic space capsule motion ride theater. Come try CINE6D cinema and experience the fun with your family and friends! Customers are obliged to fasten seat belts and customers are not allowed to stand up during the performance. Small children must be accompanied by an adult person. By purchasing a ticket to the Cine6D the clients acknowledge the operator’s general terms and use the facility at their own risk. See our Terms and conditions. Clients are obliged to hand back the glasses after the performance. Clients are obliged to observe the instructions issued by staff members.